The two-wheeler industry faced a challenging November with demonetization impacting demand in the lean month after the festive high ending October’16. However, bucking the overall -5% de-growth in the industry. Honda 2Wheelers successfully closed the month with steady sales of 325,448 units. “Compared to festival buying in November last year, this year the industry was prepared for an organic correction in November. However, demonetization announcement took everyone with surprize. Two-wheeler sales dropped by 50% in the first 3-4 days of announcement. But recovery started week 2 and by the end of month, Honda’s all India sales returned to almost 80% of normal level with South, West and East leading the recovery. Despite steep fall in sales in the first week after demonetization, Honda 2Wheelers made a fast recovery to sell a total of 325,448 units in November’16 (compared to 326,466 units in Nov’15). Despite the total industry sales falling by -5%, Honda steered clear of any drop in sales and instead gained 1% market share to 23% in November’16. The key standout for November’16 was the start of full-fledged exports of Honda’s No. 1 export model DIO from fourth plant in Gujarat and NAVI exports starting to new market of Sri Lanka. As a result, Honda 2Wheeler exports increased a sharp 81% from 14,391 units (in November’15) to 26,053 units (in November’16) with neighbouring countries and Latin America leading the demand. Overall, Honda sold a total of 3,627,991 units from April – November’16 compared to 3,047,431 units sold in same period last year. On the YTD basis, Honda’s total sales grew 19% – almost double that of the 10% domestic+ export industry growth. In the 8 months of the fiscal, Honda continues to lead the industry as Highest volume gainer of the industry (44% of all incremental volumes in the industry came from Honda 2Wheelers itself) and Highest Market Share gainer of the industry (gaining 2% market share to 26%). New Model: Bookings started for the new ‘Repsol Honda racing replica limited edition’ of CBR 250R which will be available with new paint scheme and MotoGP graphics mirroring the legacy of 2016 MotoGP champion Marc Márquez(93) and Dani Pedrosa(26). 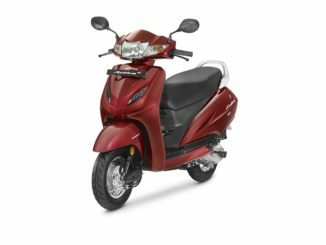 Best Deal: Four new Honda’s Best Deal outlets for exchange and purchase of pre-owned two-wheelers inaugurated in Rudrapur, Thavur and Chennai taking total Best Deal count to 120 outlets across India. Road safety: In November, Honda started its 8 city awareness campaign (Road Safety with Chhota Bheem) to educate kids on road safety in fun way. Additionally, Honda also spread road safety awareness among more than 5,000 people through its road safety pavilion at India International Trade Fair (Delhi).